Two modern SUVs, the Jeep Cherokee and the Ford Edge, are consistently seen on the streets. Which one deserves your money and ownership? Through performance, design and price comparisons, we’ve compared the 2019 Jeep Cherokee with the 2019 Ford Edge. Read on with us at Great West Chrysler and explore how the Jeep outshines the Ford in premium and off-road SUV features! On the base level engine options between the Jeep Cherokee and the Ford Edge, the Jeep SUV comes out the victor. The 2.0L I-4 Turbo engine in the Cherokee puts out 270 horsepower and 295 lb-ft of torque from this direct-injection turbocharged variant. That’s not all, it also includes Engine Stop/Start technology, which assists in creating an engine that is not only powerful, but also economical. On the Ford Edge, their base-level Twin-scroll 2.0L EcoBoost engine only gets you to 245 horsepower and 275 lb-ft of torque. 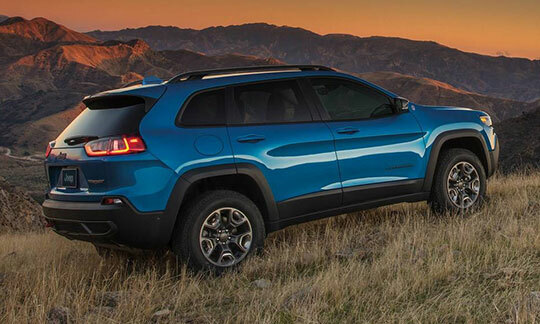 If you want more power out of the gate on the standard edition, the 2019 Jeep Cherokee is the SUV for you. The Jeep Cherokee has been redesigned to look more modern and premium, to fit in expertly on city streets or on country roads. Its redesign doesn’t take away any of the heritage elements you’ve come to expect in a Jeep, still maintaining its classic 7-slot grille and wide stance that is ready for any off-road adventure. The Ford Edge is focused on generic sport-styled design elements, including a seamless rear to front design that doesn’t make use of any of the dynamic differentiation from back to front that the Cherokee’s fierce look presents. In its redesign, the Cherokee takes the SUV premium look to another level, balancing classiness with refined rural utility that the Ford Edge just can’t match. It’s easier to get into a Cherokee than an Edge; by which we mean it comes in at a much cheaper price! For the base level models, the MSRP of the Cherokee starts at $27,021 for the Sport, while the Edge SE starts at $34,599. This almost $7,500 difference is a huge gap when it comes to getting into one of these SUVs, and it comes as no question when you take in consideration the performance and design features which one to choose–the Jeep Cherokee. Pick the Jeep Cherokee and be ready for any road you find yourself on. 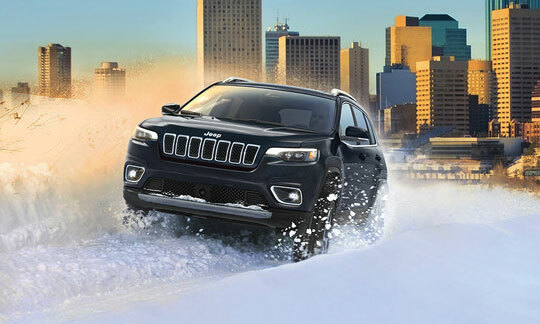 Great West Chrysler Jeep Dodge Ram is your destination for a wide inventory of Jeep vehicles. Contact us if you need assistance, from sales to service to parts to financing.